I finally surrendered my life to God when I was in my mid-20s. Prior to my baptism on September 1, 1951, I had been working underground for about three years. I finally surrendered my life to God when I was in my mid-20s. Prior to my baptism on September 1, 1951, I had been working underground for about three years. I was a winch driver in one of Broken Hill's silver and lead mines, where about 3000 men worked on the line of lode. My employment involved working alternate weeks of day and afternoon shifts, the latter including Friday nights. As I planned for baptism, I knew I could not conscientiously keep the Sabbath hours holy by continuing to do this. I asked to be allowed to miss my rostered Friday night shifts and this was granted. It meant that every fortnight I received nine days pay instead of 10 and this arrangement continued for quite some time. 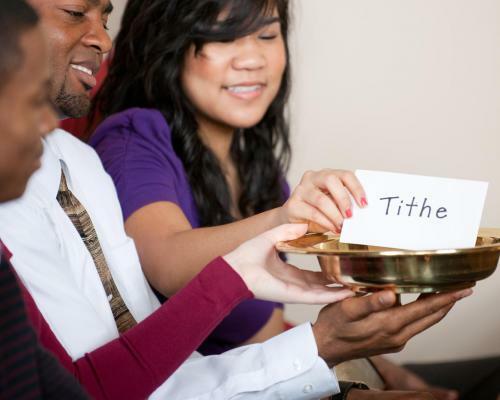 I had recently married and although we struggled financially, we were always faithful in paying tithes and offerings. When we were having our new home built, I needed to buy some building material. Before I could do so, some goods were unexpectedly given to me as a gift. I was amazed to discover that its cost was the exact amount--to the last penny--of what I had lost in wages by not working the previous Friday night shift. Then, some time later, I was fortunate enough to permanently swap my Friday night shift with another miner, in exchange for his Friday day shift--resulting in a full pay for me. God turned my loss into gain. I have been 500 metres underground with roaring ventilator fans and ear-shattering pneumatic drills, yet I felt God's presence with me. During the remaining seven years I worked underground, I can testify to God's goodness to me. I had two miraculous escapes from death in the mine; when tonnes of ore fell close to me, and on another occasion God saved me from being pulled down a 50-metre shaft when ropes became tangled around my legs. When I returned to Sydney after 10 years in Broken Hill, the next 35 years saw me suffer financial loss with my own trucks, and survival from serious injury when my truck was "written off" in an accident. But I knew God was there for me. Somehow, His blessings kept slowly flowing, even though it took years before we recovered financially. I am now in my 83rd year and have had joys, disappointments and near-death experiences during my lifetime but throughout it all there have been continual blessings. I serve God because I love Him and I shall continue to do so with cheerfulness. Praise the Lord, I tell myself; with my whole heart, I will praise his holy name. Praise the Lord, I tell myself, and never forget the good things he does for me. Psalm 103:1, 2. John Chestnut is a resident of the Alstonville Adventist Retirement Village in northern New South Wales.